New - Fireworks Flare Pistol Guns by Desert Eagle. Reloadable fireworks gun that shoots 36 colored flares. THIS IS NOT A TOY CAP PISTOL! ****************GUN IS DURABLE PLASTIC, handle with care as it can break if dropped, trigger pulled to far etc. Point to SKY ONLY at 45 degree angle away from people, streets, houses, pets, use common sense. 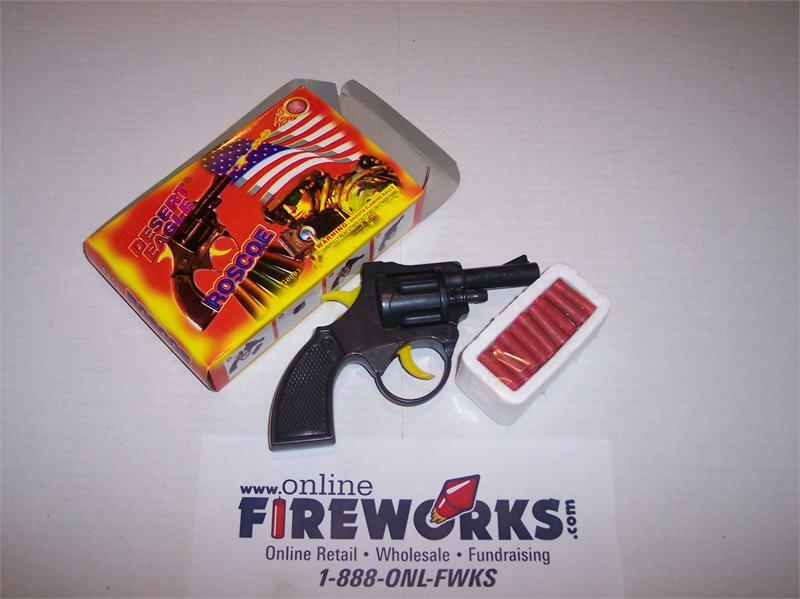 This is a actual firework flare pistol that shoots flaming balls that burst. You can find some good videos on youtube of desert eagle pistol. Easy to reload made of ABS plastic and can be used over and over. Don't forget to buy extra ammo! Allow Gun to Cool between reloading for best results. Sometimes the cartridge will get stuck due to the heat and firework, do not use your mouth to remove the spent cartridge. Pop it out with a key. DO NOT OVERLOAD your shells, we know you want to but DON'T, it can be dangerous to have more than the factory powder ball. PLEASE DO NOT allow children to use this without adult supervision!!. This Firework is my favorite yet.I really recommend buying it.